Playlist: Mashrou’ Leila – straight from Beirut. 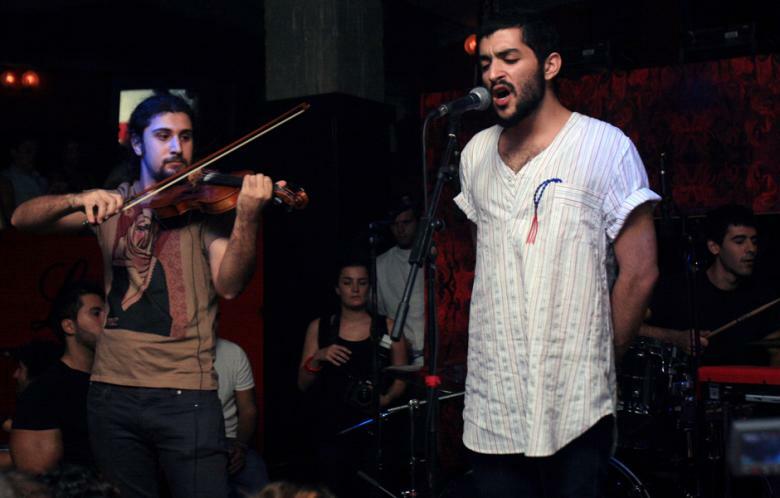 Mashrou’ Leila is a Lebanese seven-member alternative rock band. The band was formed in Beirut in 2008. With their first live appearances they sparked controversy and were recognized for the unabashed and critical lyrics on Lebanese society, failed love, sexuality and politics. Their entertaining themes and satirical Lebanese lyrics reflect the many faces and flaws of Lebanese society which are not addressed by mainstream Arabic music. To me – to be honest – I don’t understand a lot of what they are singing about (I try to google all the lyrics translation), but I fell in love with the feeling their music carries, with the tunes, great vocals, with – emotion. I feel their music and simply enjoy it, so I thought I should write about it here – spread the word. This is the first song I heard and after that – I wanted to know all about them. Listen to it, and if you like it, like them on facebook and listen more. Enjoy! → Why Jews must oppose muzzling of Palestine solidarity activists. I know, I love Jacques Brel, but also just fell in love with Mashrou’ Leila version.